Former Democratic vice-presidential nominee the front-runner to be named FBI director, say White House officials. 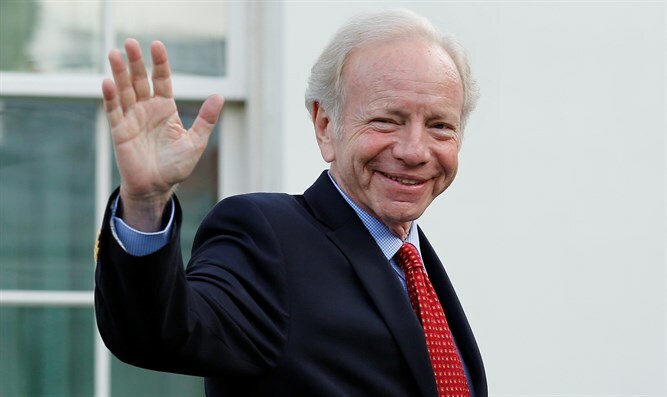 Former Democratic vice-presidential nominee Joe Lieberman is the front-runner to be named FBI director, White House officials and advisers said Thursday, according to Politico. Senior administration officials have told others in the last 12 hours that Trump is expected to pick Lieberman to replace FBI director James Comey, who was abruptly fired by Trump last week, the report said. Lieberman’s name first emerged on Wednesday, when it was reported that Trump would interview four people for the vacant position. A person familiar with Wednesday’s meeting said, according to Politico, that Trump bonded with Lieberman, and the president left leaning towards the former Connecticut senator, who retired in 2013. Trump has not signaled otherwise that anyone else is the favorite, aides said, and has told one adviser he wants to make an announcement before he leaves Friday on his first foreign trip. Trump told reporters Thursday afternoon “we're very close to an FBI director” and that the pick would be announced soon. When asked whether Lieberman was among the finalists, he confirmed that he was.